It’s important to get the right foundation to be a successful travel agent. For three years, Travel Leaders of Tomorrow has been training the industry’s newest travel professionals with our Virtual Campus travel agent training program. It’s easy: attendees get live instructor-led virtual sessions, textbooks, and a virtual study group of classmates. But sometimes, prospective travel agents need something else, something even more flexible. That’s why we’ve introduced the Independent Learner travel agent training program. 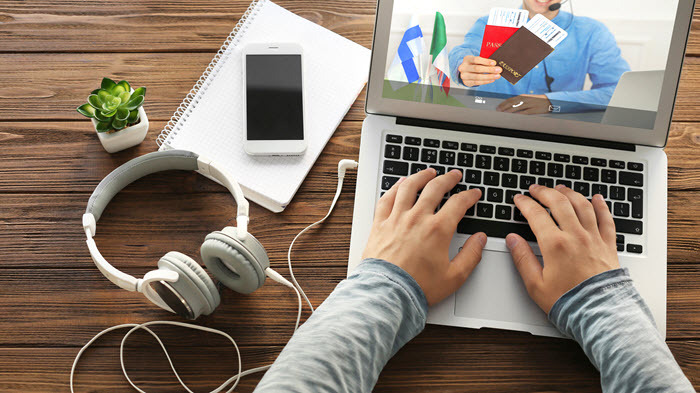 This program includes all of our high-quality online lessons, as well as quizzes for the aspiring travel agents to test their understanding and retention of the course material. Travel Leaders of Tomorrow instructors are available via email for guidance, and one coaching session is included. Independent Learners can move at their own pace, and the courses are available to them for six months. The entire Independent Learner travel agent training program is being offered by Travel Leaders of Tomorrow for $495. Students also have the option to buy textbooks and take the Travel Agent Proficiency (TAP) test for an additional fee. If you’re already part of the Travel Leaders Group family, please ask us about our discount program. Participants who decide to upgrade to the Virtual Campus travel agent training program will get the Independent Learner fee applied to their tuition. If you are thinking about becoming a travel agent, we’d love to talk more about which program is right for you, the Virtual Campus or Independent Learner program. Either way, Travel Leaders of Tomorrow can help set you on the path to success. Learn more about us here.